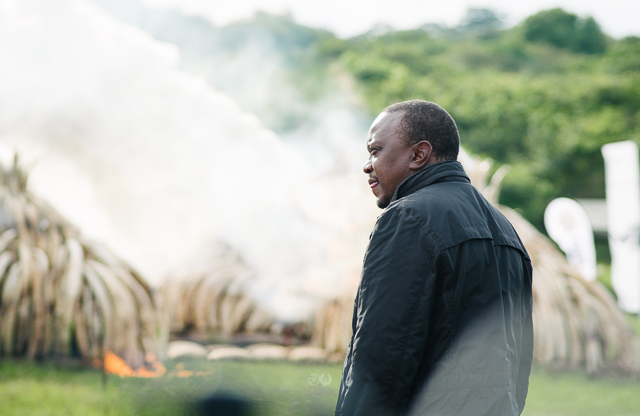 President Uhuru Kenyatta leads Kenyans as they take a stand opposing ivory trade. 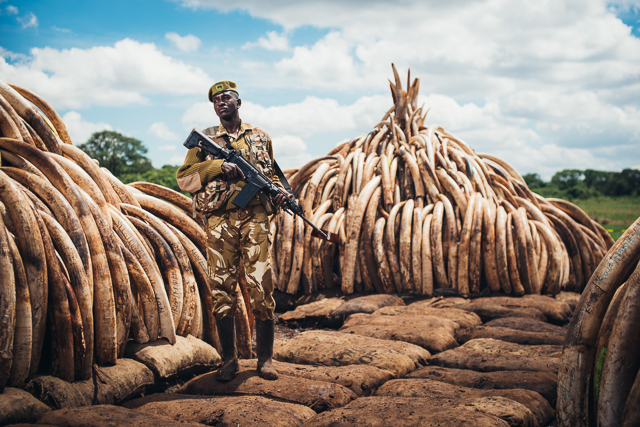 Ranger Moses of the Kenya Wildlife Service watching over a stockpile of confiscated ivory. 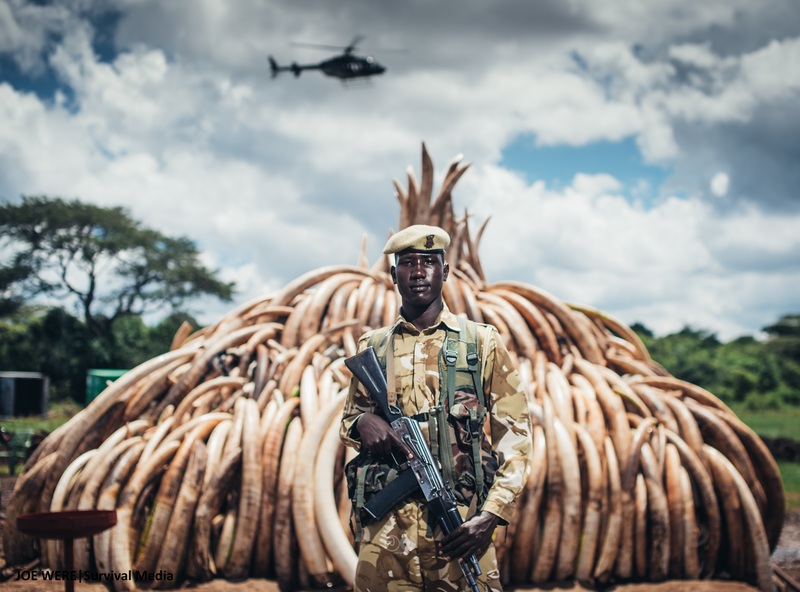 105 tonnes of Elephant Ivory seized, 1 tonne of Rhino horn confiscated... Over 10,000 elephants killed that deprives Kenya up to $17b in tourism revenue. The numbers speak for themselves... and Ranger Moses has said enough is enough. Saturday 30th April 2016, the government of Kenya took a historic stand against ivory trade. 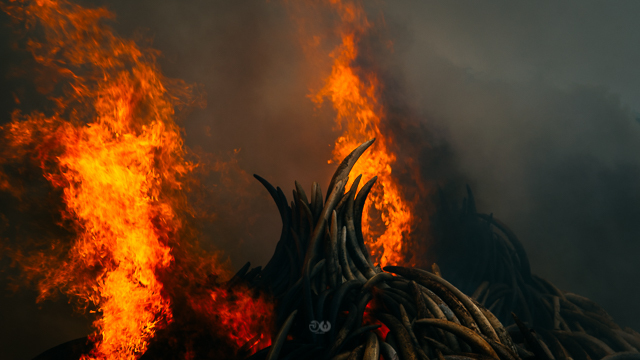 105 tons of ivory arranged in eleven pyres and one pyre of rhino horns were set ablaze in the Worth More Alive campaign. 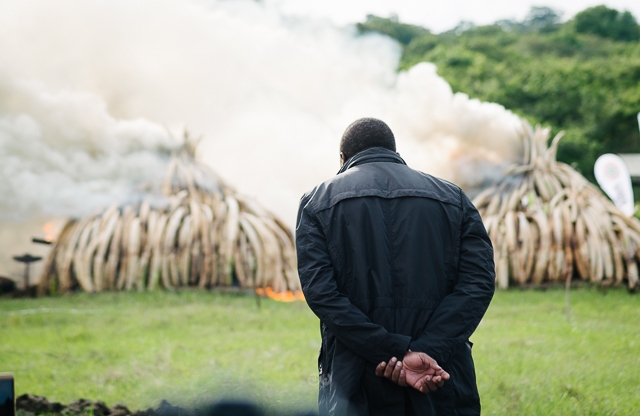 The tusks of about 6000 elephants were lit by President Uhuru Kenyatta as he urged member states of the Convention on International Trade in Endangered Species of Wild Flora and Fauna (CITES) to impose a total ban on ivory trade. 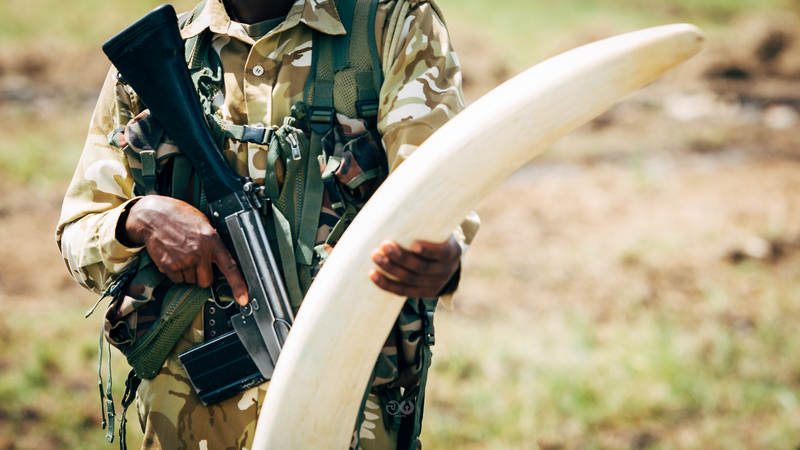 In his speech, he emphasized that the only value of ivory was on the elephants. 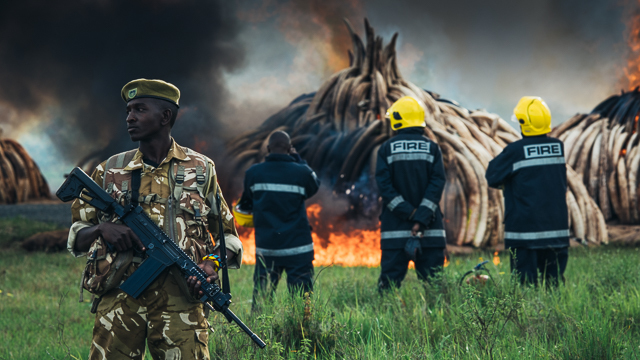 Kenya is home to the last Male Northern White Rhino and national policies have been put in place to ensure poaching is curtailed. 11 pyres of ivory tusks weighing 105 tons from an estimated 6000 elephants slain by poachers. President Uhuru Kenyatta leads Kenyans as they take a strong stand against ivory trade. 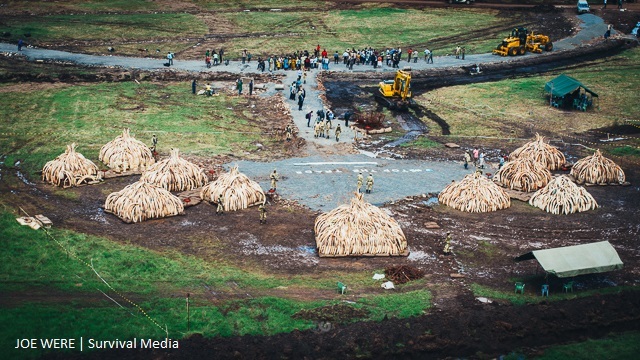 The ivory burn hopes to push CITES to impose a total ban on ivory trade in CoP17 later this year in Johannesburg.